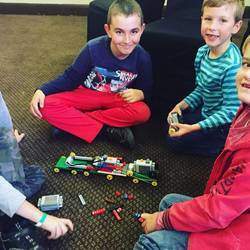 e2 Young Engineers is an edutainment program that focuses on the Science, Technology, Engineering, Arts and Mathematics (STEAM) fields by teaching children key concepts and principles in each of the fields. We have developed special programs and workshops suited to children who learn at different paces. Unlike traditional teaching methods, our use of stories, experiments and demonstrations ensures that all children joining our enrichment programs will learn while they have fun. In fact, they’ll have so much fun they may not even realize they’re learning. The Big Builders enrichment program for children between 4-6 years old, develops tactile, motor, dexterity, and spatial skills while discovering solutions for introductory level engineering problems using K’NEX®. Children play together and learn about animals and transportation while simultaneously learning principles of biology and geometry. 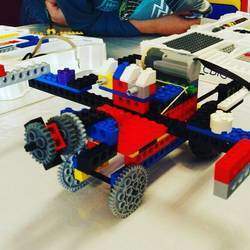 LEGO® Bricks Challenge for children between 6 and 10 is designed to help participants learn physics and mathematics in an intuitive way. This enrichment program introduces elementary school age children to the basic principles of maths, science and engineering.